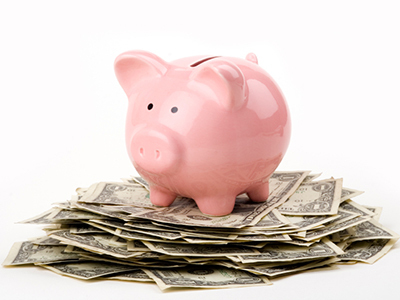 Holiday season is just around the corner so now is the time to shift your penny-pinching into high gear. Fill your Black Friday war chest with money saved up early, rather than draining your savings at the last minute. These books show why taking gradual steps such as reducing your grocery spending and clothing purchases or finding DIY solutions for repairs around the home may go a long way towards fattening your yuletide gift budget. 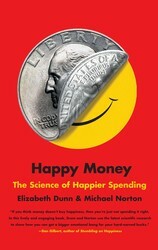 Two professors combine their fascinating and cutting-edge research in behavioral science to explain how money can buy happiness—if you follow five core principles of smart spending. By the end, you’ll be asking yourself one simple question every time you reach for your wallet: Am I getting the biggest happiness bang for my buck? 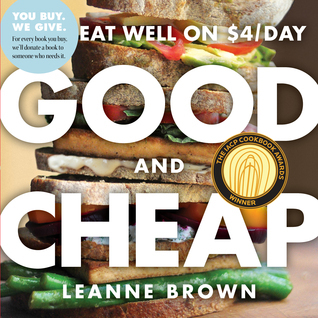 While studying food policy as a Master's candidate, Leanne Brown asked a simple yet critical question: How well can a person eat on the $4 a day? The answer is surprisingly well with this cookbook filled with delicious, healthful recipes created for everyone on a tight budget. 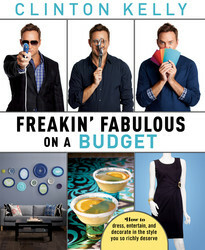 The style guru and author of Freakin’ Fabulous shows you how to have it all—haute fashion, food and décor—at bargain-basement prices. As co-host of TLC’s popular What Not to Wear and ABC’s The Chew, Clinton Kelly is constantly helping his guests look and feel their best. Now he’s going to share his secrets for making every part of your life more fabulous—whether you want to make over your wardrobe, add glamour to your next soiree, or brighten up that dingy bathroom—even if there’s no room in your budget. As Kelly doles out wit and wisdom on everything from thrift store sprees to proper dinner etiquette, he playfully reminds you that you don’t need to be a movie star to live like one…as long you shop smartly. Remember, anybody can be fabulous—it’s not the size of your funds but how you use them. 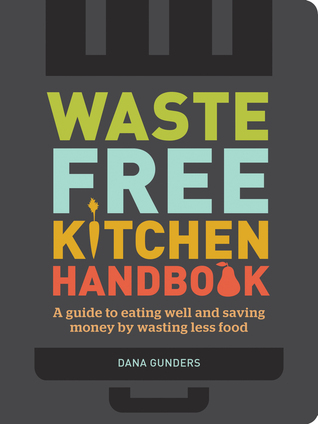 This handbook—packed with engaging checklists, simple recipes, practical strategies, and educational infographics—is the ultimate tool for reducing food waste. 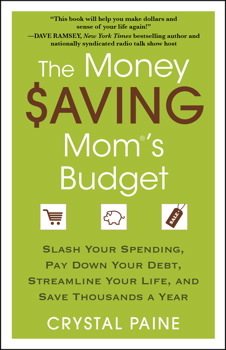 From one of Nielsen's top 50 power moms comes advice you can take to the bank—literally! Crystal Paine, who has helped busy women everywhere take control of their finances, presents her most effective strategies designed for families of all sizes and income levels. 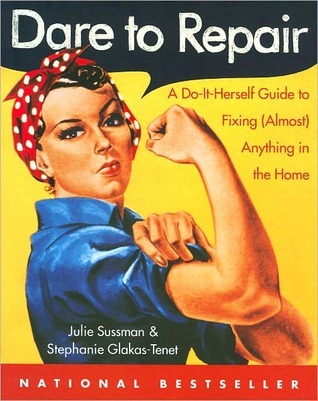 Dare to Repair is a do-it-herself book for every woman who would rather be self-reliant than rely on expensive contractors. Filled with detailed illustrations, this bestselling guide provides even the most repair-challenged woman with the ability to successfully fix things around the home, including clogged toilets, leaky faucets and broken windows. 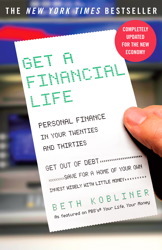 The bestselling book that the New York Times hailed as “a highly readable and substantial guide to the grown-up realms of money and business,” Get a Financial Life is a must-read for anyone in their twenties and thirties (or beyond) who wants to understand the basics of personal finance. A financial guide on how to avoid money mistakes at every stage of life, from bestselling author and TV superstar Kevin O’Leary (ABC’s Shark Tank) —“a completely unique personality. 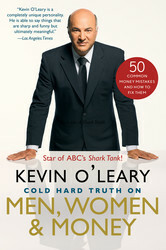 He is able to say things that are sharp and funny but ultimately meaningful” (Los Angeles Times). Kevin offers solid, practical advice to help you make—and keep—more money. 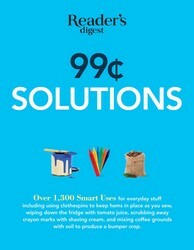 Save a fortune with over 1,300 easy solutions to hundreds of common household problems.You don’t have to be rich to live well; now you can outfox the high cost of living the old-fashioned five-and-dime way. Don’t be tempted by all of those “new” products on the shelves; instead, rediscover the power of those time-honored, thrifty household items your grandparents and parents used. Maurice eats Italian and Indian (food not people) and likes traveling, hiking, Pilates, reading comics and living on a tight budget (not really). He lives in the NYC area and has written for Publishers Weekly and AOL News, among others.